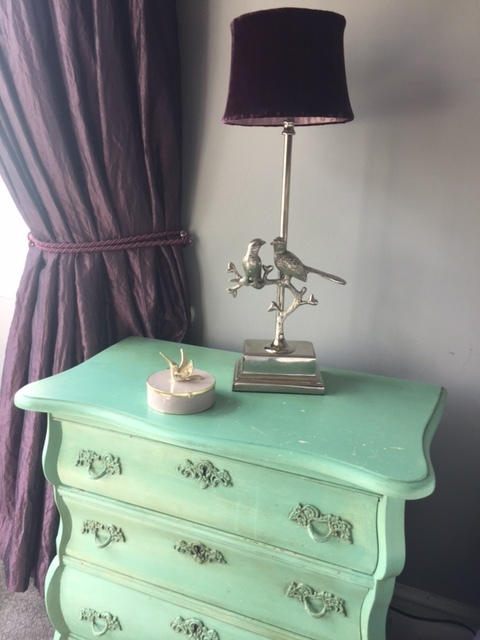 Currently I have a penchant for what I call ‘critter chic’ – that’s animals and birds in all shapes, styles and sizes, from parrots to peacocks and pooches to foxes. 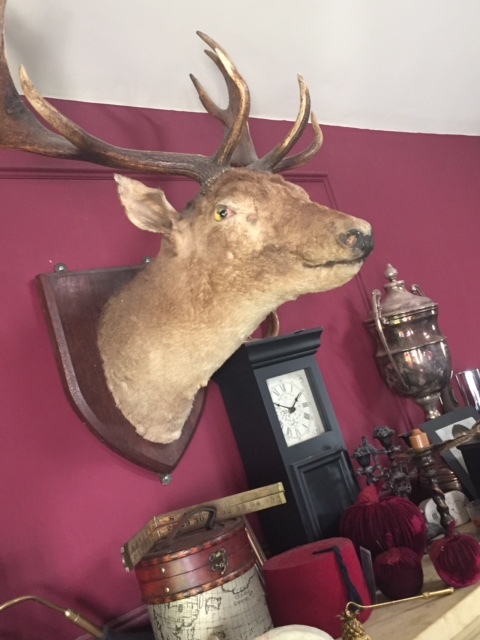 In fact animal décor is so in vogue at the moment, it is impossible to not find some new cutie or some vintage weird n wonky creature everywhere I go. My sitting room – has a botanical Victoriana theme, so I have managed to incorporate some elegant parrots, foxes and even a tortoise in here. My current favourite recent purchase is a gold framed ceramic parrot and cockatiel pair, from asda – Yes asda of all places – this could quite easily have appeared in a quirky high end boutique at 3 times the price, and I’d of probably still bought it, but at a bargain £8.00, I can imagine they wont be there for long. 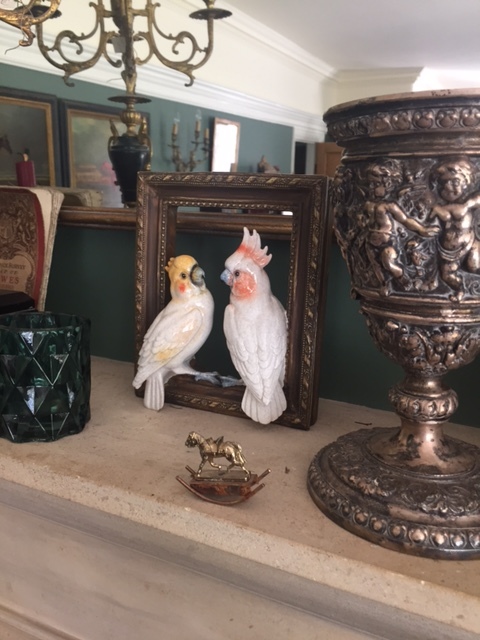 cockatiel & parrot in gold frame – pieces of 8, pieces of 8….pounds! 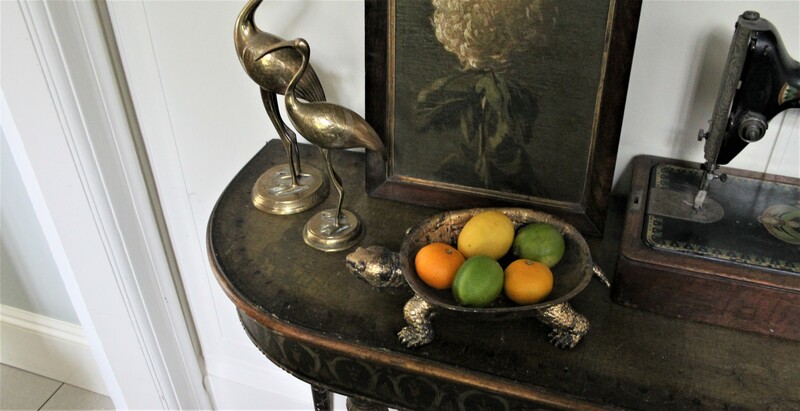 and my other recent quirky purchase is a distressed gold tortoise bowl, from one of my favourite quirky designers, Abigail Aherne . 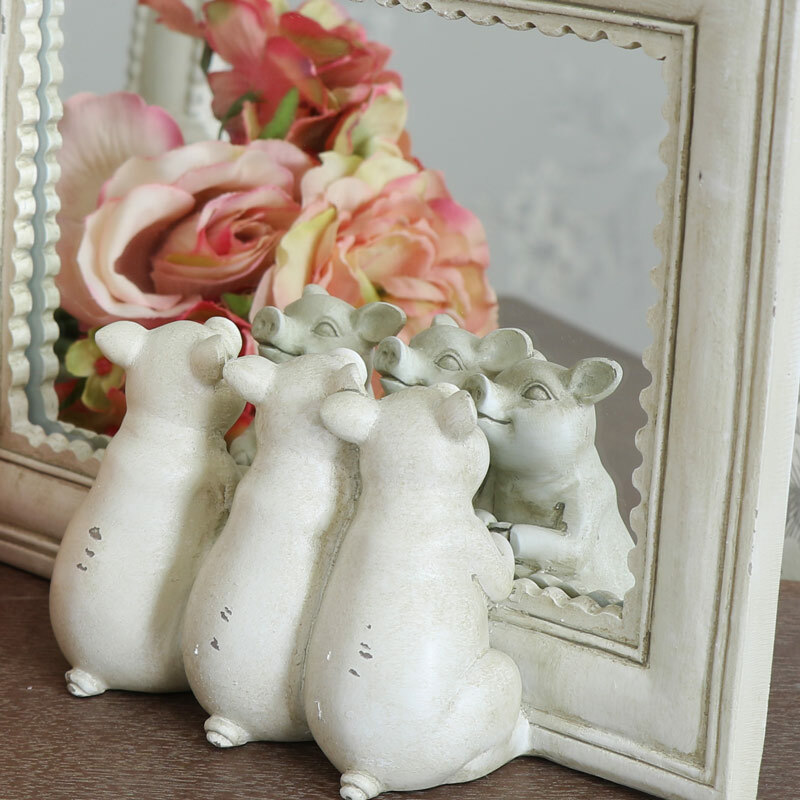 So if you are looking to add some cute or quirky friends to your decor, go subtle and sweet with a small piece, like this cute piggy mirror from Melody Maison…. 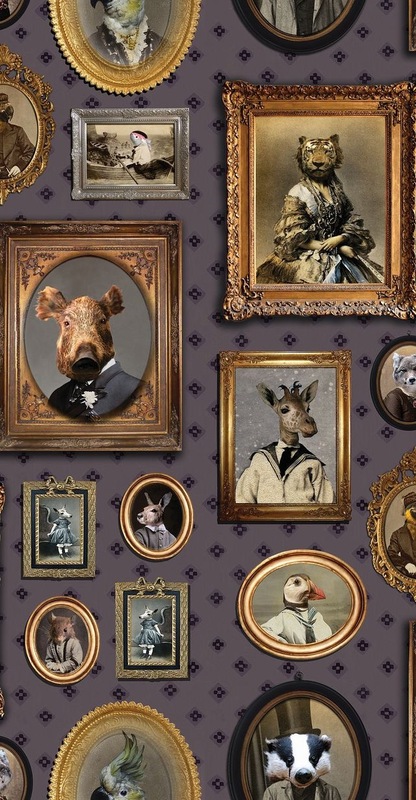 or go bold touch with this amazing wallpaper from wallpaperdirect, I love it! 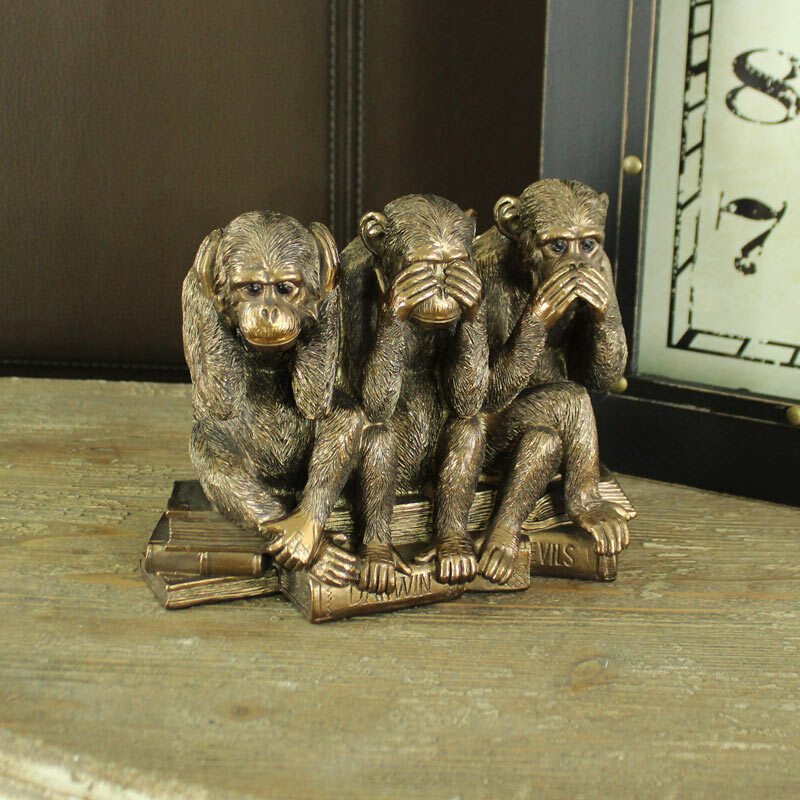 I’m putting this on my future room décor wish list, possibly for my downstairs loo? I’ll keep you posted on that project in due course. Wow! Gold framed animals on the walls? 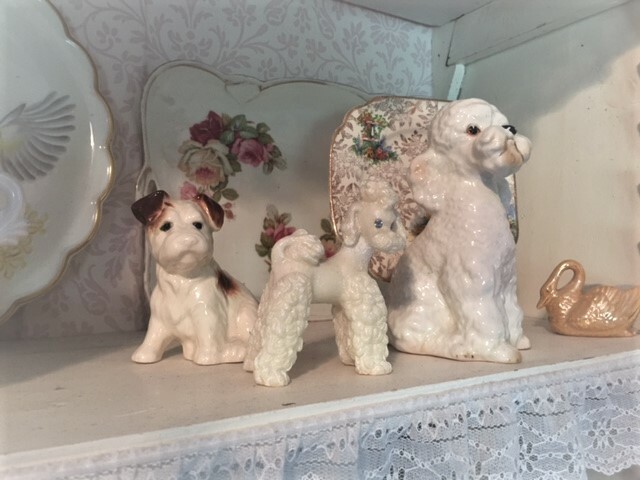 My little bunch of Kitsch n vintage ceramic dogs …. Poodle power! and I have managed to find someone who loves this look even more than I do, hey, why stop at 3 dogs! 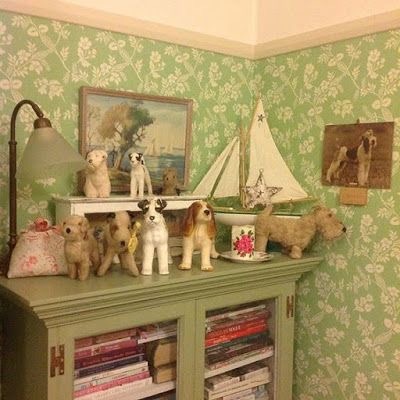 – This room shot was one I found on pintrest of someone’s room, who clearly has a very similar love of vintage kitsch dog stuff. Hope you’ve enjoyed reading this weeks blog, let me know what you think and about your animal passions. Happy Bank holiday weekend all! 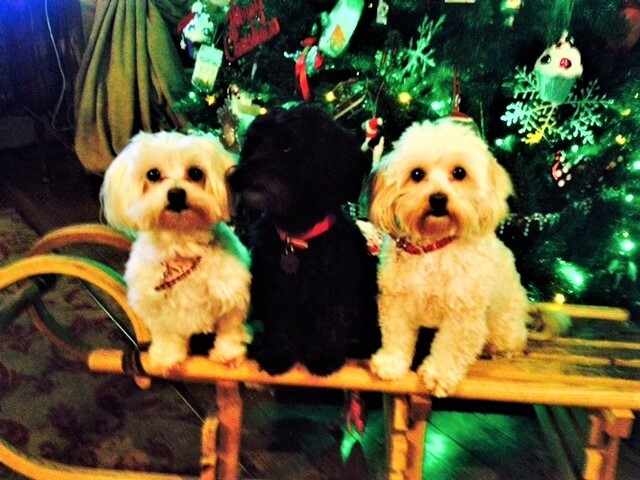 My 3 naughty, but adorable pooches!